The SOLARCAT strategy will prepare Catalonia for the capture and electrical storage of solar energy, the energia of the 21st century. The SOLARCAT strategy is based in the capacity of the Generalitat of Catalonia to act as an active consumer and with a capacity to influence the market and at the same time an example of a commitment to a clean, renewable, autochthonous, participatory and distributed energy model. By this way, Catalonia opts for an alternative model than the one existing in the spanish market. 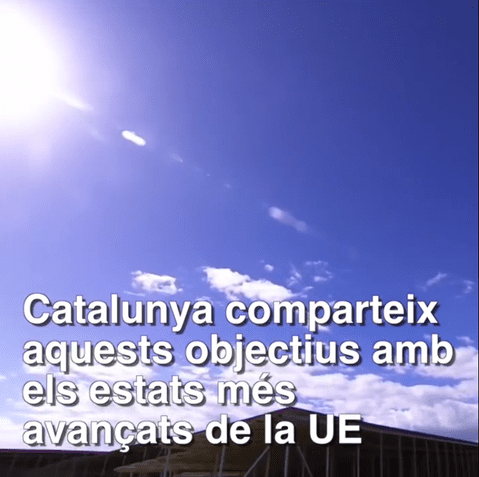 This strategy involves allocating 5 million euros to develop the program of supporters with distributed storage, which has to guarantee the possibilitat that the citizens of Catalonia will be able to generate, store, share and sell (when it will be approved) the energy, taking profit of the main energetical resource of Catalonia: The SUN. It also will serve to approve the line of economic incentives for the implantació of more than 1.000 self storage batteries with a total capacity of approximately 3 MW.